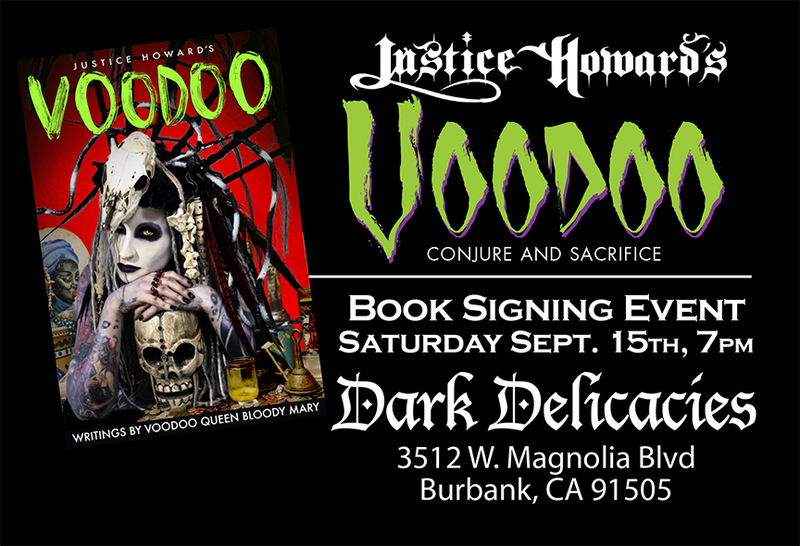 Come join us SEPT 15th right after Monsterpalooza at DARK DELICACIES where you can come get your very own VOODOO Hardcover book and Ill sign it especially for you! Del & Sue from DARK DELICACIES will be there. Unfortunately my coauthor Bloody MAry will not as she has to get back to doing her “New Orleans Spooky things” and must return to her HAUNTED MUSEUM. But I promise you a good time and the book itself is a trip and worth seeing most definitely.